As the top advisor to the Delhi Metro Rail Corp, which has constructed the Kochi metro, E Sreedharan played a lead role in the new project and many have objected to what they describe as his being sidelined. E Sreedharan said he does not feel insulted and he will attend the inauguration of the Kochi metro. E Sreedharan, known as India's "metro man", will share stage with Prime Minister Narendra MOdi, who will inaugurate the Kochi Metro on Saturday. Following GoK's request, @PMOIndia has informed that E. Sreedharan & Oppn. leader will be included in the #KochiMetro inauguration. 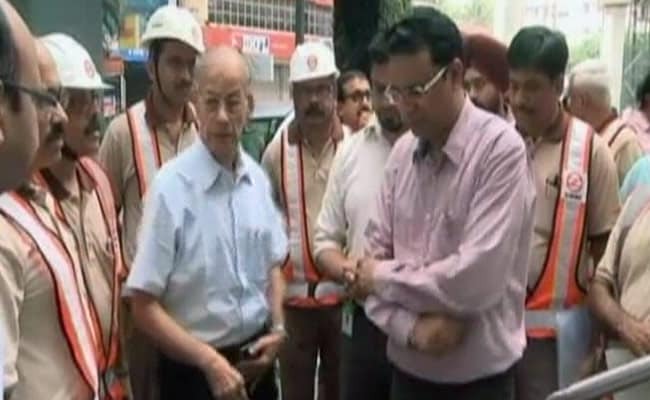 As the top advisor to the Delhi Metro Rail Corp, which has constructed the Kochi metro, Mr Sreedharan played a lead role in the new project and many have objected to what they describe as his being sidelined. Metro expert E Sreedharan will now share the stage with PM Narendra Modi. Mr Sreedharan had said he has no complaints about not being allowed to share the stage with Prime Minister Narendra Modi when he inaugurates the Kochi metro on Saturday. "We should not create controversy over this issue. The PM's safety should be given the priority...It is compulsory that whatever decisions taken by the safety agency for the safety of PM should be followed,' Mr Sreedharan told news agency ANI. Kochi metro officials claimed Mr Sreedharan was included in the seating plan they sent for review to Mr Modi's office. "The final list is made by the PMO (Prime Minister's Office). We have no role in this," said Elias George, a top official of the Kochi Metro Rail Corp, according to news agency IANS. "This shows the arrogance of the BJP," alleged PT Thomas, the legislator from Kochi who was also allegedly edited out of the list sent by Kerala by Mr Modi's office. But Mr Sreedharan said he does not feel insulted and he will attend Saturday's function. "I feel no heaviness...I will certainly be there.. I will attend the programme," he said. Construction of the Kochi metro began in 2012; on Saturday, the Prime Minister will ride a local train. For now, a 25-km stretch is being opened to the public.